A more stylish design and the addition of GPS tracking make it something we can recommend. Samsung has made plenty of wearables over the years, but few were as immediately impressive as the Gear Fit. Its curved screen and relatively slim design almost made us forget the company's early, clunky Gear smartwatches. 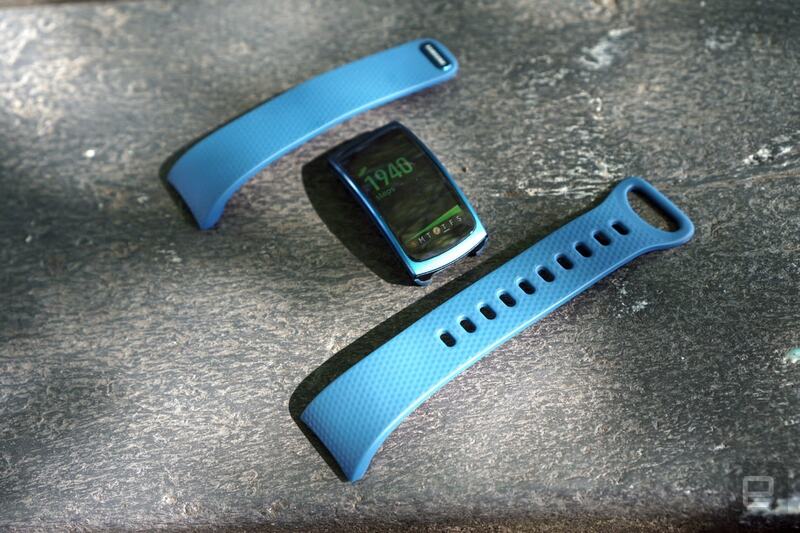 Now with the $179 Gear Fit 2, Samsung has refined its original design to make it a lot more useful for athletes. 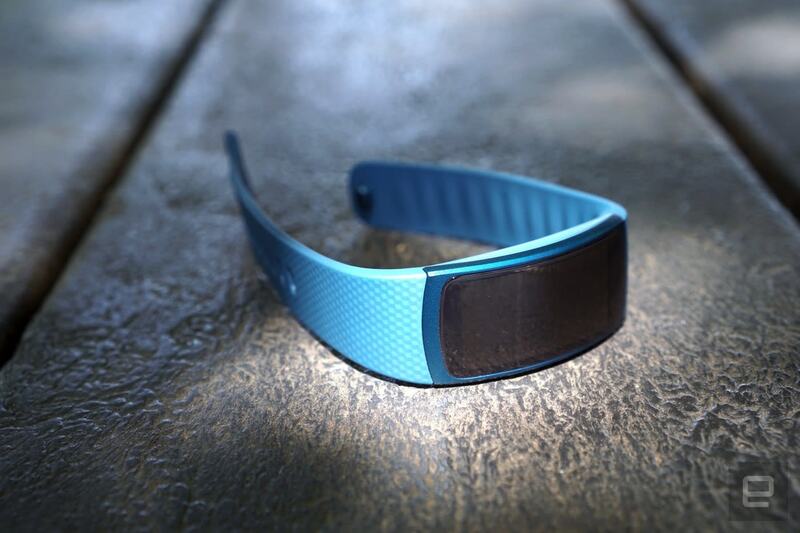 It has built-in GPS, a slightly larger screen and smarter activity tracking. It's Samsung's best fitness wearable yet, but it's still a tough sell compared to competing devices from the likes of Fitbit. With the Gear Fit 2, Samsung has succeeded in making a capable and stylish fitness tracker. But it also doesn't do anything significantly better or differently than the competition. 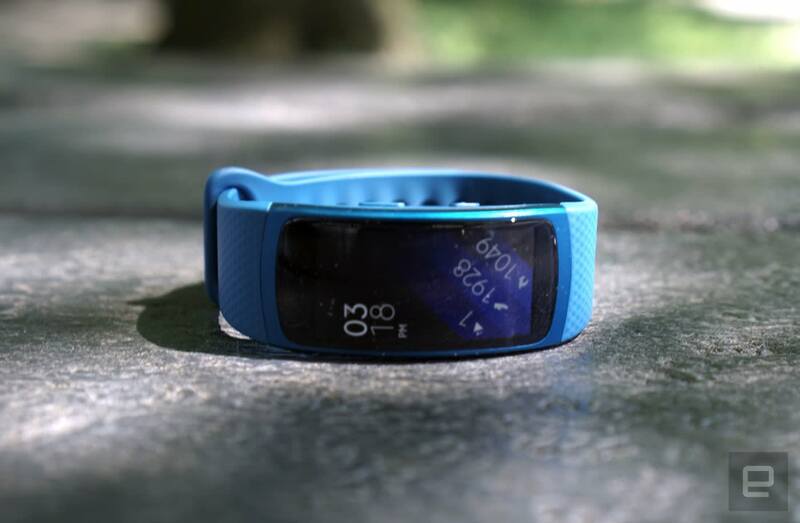 Be the first to review the Gear Fit 2? 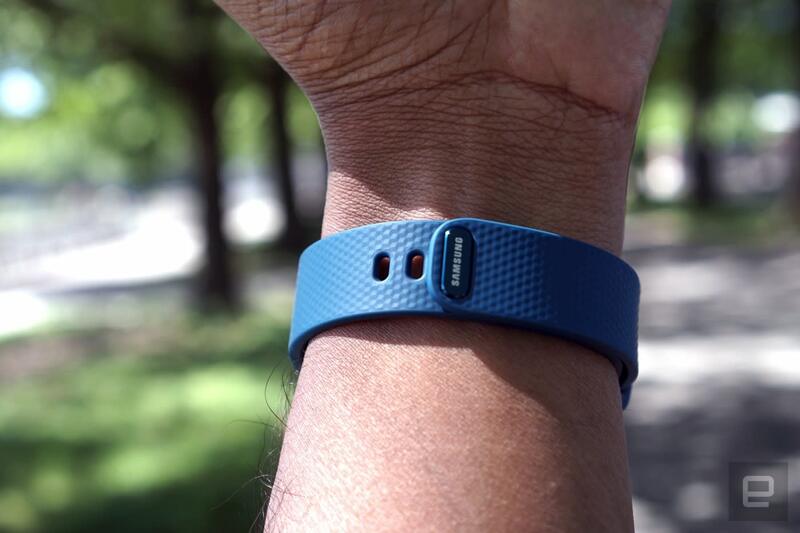 The Gear Fit 2 is an evolution of the original Fit's design in all of the right ways. Its 1.58-inch curved touchscreen display is now flush with the band so that it no longer sticks out awkwardly. It reminds me of Microsoft's Band 2, which also benefited from having a curved display sitting right alongside the wristband. The screen is also slightly wider now, which makes it more useful for actually reading information, and there's less of a bezel around the sides so it's almost like an edge-to-edge display. Beyond that screen, the Gear Fit 2 looks restrained. The top half of the device is made from some fetching-looking metal while the bottom is more of a subdued plastic. There are only two buttons on the side of the device, which serve as home and power buttons. On the bottom there's a heart rate sensor and two small connectors for its charging stand. The relatively minimalist design is a stark cry from the overly complex wearables we used to see from Samsung. For the wristband, it looks like Samsung is using the same plastic material from the last model, which remains flexible yet sturdy without feeling too stiff. 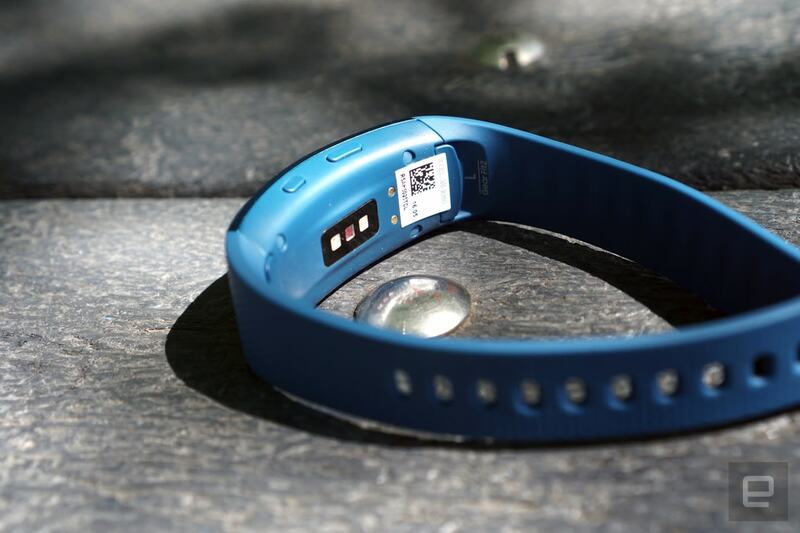 You can disconnect the wristbands easily from the sides of the device, which will be useful if you ever feel the need for a new look down the line. Under the hood, the Gear Fit 2 now runs a dual-core 1GHz Exynos 3250 processor and 512MB of RAM. (As someone who remembers being very excited when I got 512MB of RAM on a desktop, I find that latter stat hard to fathom.) Both of those specs are significant upgrades from the first Fit, which had a measly 160MHz processor and 8MB of RAM. It's no wonder we found the original to be underpowered. There's also GPS onboard the Fit 2, along with 4GB of storage for music and a barometer sensor for stair-tracking. Thanks to Tizen, the Fit 2 is much more capable than its predecessor. You've got multiple watch faces to choose from (and more can be downloaded through the Gear app), some of which will show fitness stats alongside the time. You can also customize the screens you see as you swipe through the Fit's interface. I have it set up to show the number calories I've burned, the number of steps and stairs I've taken, and my heart rate. Naturally, there's also a screen for quickly logging a workout. The Fit 2 supports 15 different workout types, including common things like running and cycling, and more specific activities like yoga and pilates. It's now smart enough to automatically detect five different types of workouts, something competing health trackers from Fitbit and Jawbone have been able to do for years. Thanks to its onboard storage (and vastly more functional OS), the Gear Fit 2 can also send locally stored music right to your wireless headphones. It can also control music stored on your phone, and it can tap into Spotify through your phone as well. Basically, if you prefer to run completely unencumbered, or with your phone, the Fit 2 has you covered. 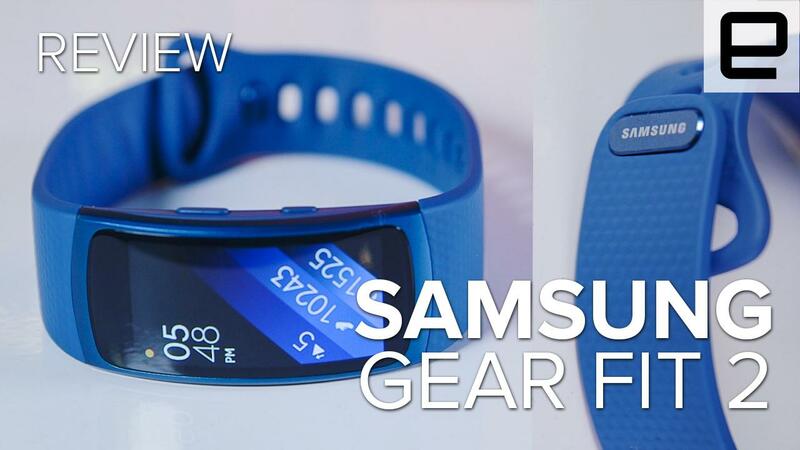 To control the Gear Fit 2, you'll have to rely on Samsung's Gear app for Android. And to track your workouts, there's Samsung's S Health app. More on those in a moment. In day-to-day use, the Gear Fit 2 felt just as comfortable to wear as the Apple Watch Sport and Jawbone's Up24 (which are among my favorite wearables). It sits well on your wrist; most of the time you'll forget it's even there. I'd still like to see Samsung make it even thinner, so that it doesn't rise above your wrist as much, but the Fit 2 is nonetheless on par with competing wearables in terms of thickness. I also had no problem putting it on -- and keeping it stable -- throughout the day. The Fit 2 has a simple clasp design that makes it easy to slip on while you're on the go. That's a good thing, because I've fought with plenty of wearables (especially from Fitbit) that are simply a chore to secure. And even though it's easy to wear, I also had no trouble with the Fit 2 falling off (which was a killer issue with the Jawbone Up3). When it comes to tracking basic things like your steps and stairs climbed, the Gear Fit 2 seemed just as accurate as most other modern wearables. Its heart-rate tracking was also solid, delivering readings in line with what I've been seeing from the Apple Watch and recent Fitbit gear. But really, if you're buying this you're probably more interested in its GPS tracking, and in that regard it didn't disappoint. It accurately mapped several of my runs through Brooklyn's Prospect Park (I have a two-mile stretch that I cover regularly). It was also on par with RunKeeper's location tracking, which I normally use on my iPhone during workouts. Setting up a manual workout takes a lot of swiping and menu pressing if you're moving between a variety of exercise types. But if you mainly do the same sort of workout, it's pretty easy to just get up and go. The Fit 2's touchscreen response is fast for such a small wearable, but even so, it's not something you'd want to deal with much in the middle of an intense session. The Fit 2 also surprised me several times by accurately tracking how long I walked during my work commute. That's something other wearables have been doing for a while, but it's still a useful addition for Samsung fans. It's also the sort of thing wearables will have to get smarter about moving forward, so hopefully Samsung will be able to add automatic tracking support for more than just five workout types. While you can view some basic post-workout details on the Gear Fit 2, you'll have to turn to Samsung's S Health app for a more detailed view. It's a fairly clean-looking app: The home screen highlights your most recent workouts, heart-rate readings and steps. Tapping into a workout lays out everything you've done that day, and you can also step backward to previous days pretty easily. Despite its minimalist look, I still had some trouble navigating around S Health. And it wasn't always obvious how to access more detailed information about workouts. But perhaps I've just been spoiled by better health apps from Fitbit and Jawbone. As a smartwatch-like device, the Gear Fit 2 fares well. It can display notifications from your phone, and even though it has a tiny screen, there's enough room to read short text messages and tweets. It's not a screen where you'd ever want to read long emails, but that's true of dedicated smartwatches too. You can also have the Fit 2 open up apps on your phone from its notifications, which helped me quickly reply to Hangout messages and texts on several occasions. Samsung claims the Gear Fit 2 gets around three to four days of battery life from its 200mAh battery. In my testing, which involved constantly wearing it throughout the day and doing a few runs, it usually lasted around two and a half days before needing a trip to the outlet. Speaking of recharging, I was pleased to find that Samsung moved towards a larger charging cradle for the Fit 2. That may sound paradoxical, but the original Fit's cradle was so small that I ended up losing it pretty quickly. This new version is better suited to staying in one place on your desk. Since it's a GPS-enabled fitness wearable, the Gear Fit 2 is best compared to the likes of the Fitbit Surge ($229) and the Microsoft Band 2 ($175). Aesthetically, it has a lot more in common with the Band 2, but if you can get past its looks, the Fitbit Surge is probably a better buy for fitness junkies. 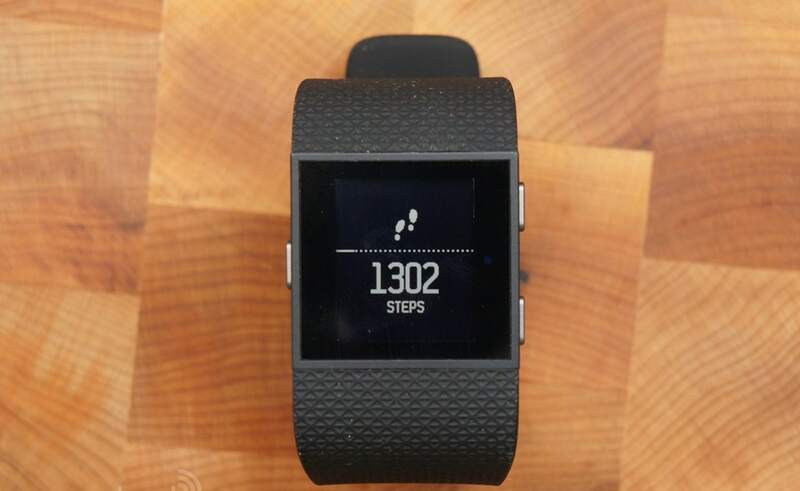 Fitbit has a much more robust fitness platform, as well as better integration with third-party services. As with all wearables, aesthetics play a big part in the purchasing decision, though, so it's understandable if you'd rather have a better-looking tracker instead of a more functional one. 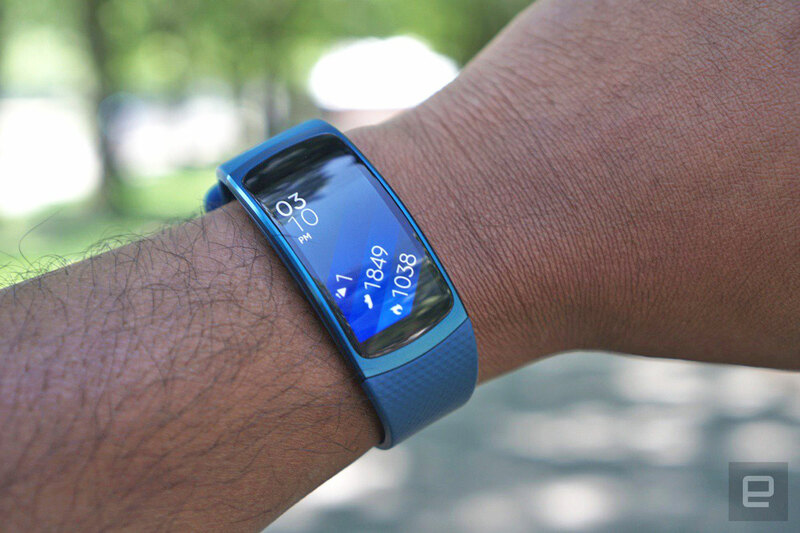 With the Gear Fit 2, Samsung has succeeded in making a capable and stylish fitness tracker. But it also doesn't do anything significantly better or differently than the competition. It feels like a fitness tracker meant for people who really want something to match their Samsung phones, rather than something every consumer would desire. It's ultimately unremarkable, but that's mainly because there are so many decent alternatives out there.